PEEK Tubing is an excellent alternative to stainless steel and is usable in multiple applications. Key advantages include flexibility, bio-compatibility, high temperature and chemical resistance, and is easily cut to desired lengths. Solid Color-Coded PEEK Tubing – Color-coding identifies the Interior Diameter of your 1/16″ OD PEEK tubing – each ID is coded with a different color. Dual Layer Color-Coded PEEK Tubing– The Dual Layer PEEK Tubing eliminates any concern that a critical sample stream could be contaminated by the pigments used to color code the tubing. 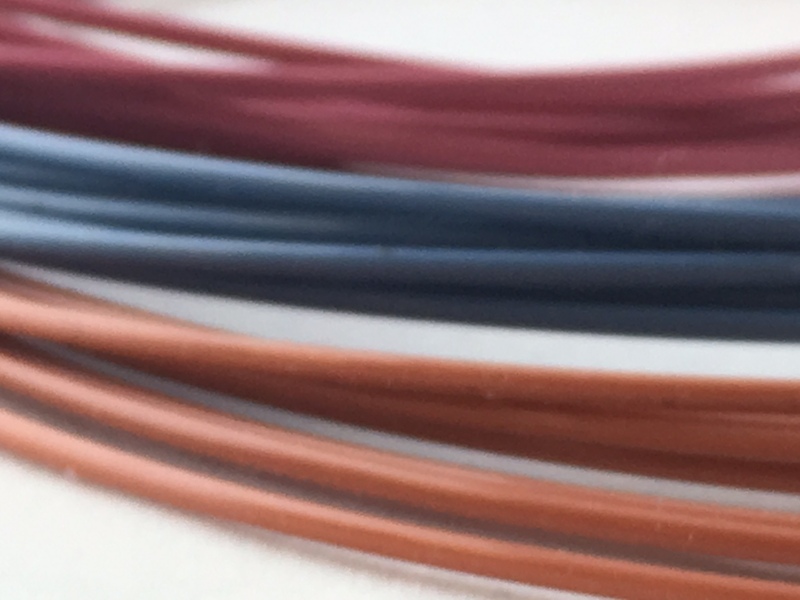 It looks like any other color-coded tubing at first glance, but a closer look reveals that a pigmented layer surrounds a seperate, but integrally-bonded, inner layer of natural PEEK. Striped Color-Coded PEEK Tubing – A stripe is added to the outside, so dye never contacts the fluid stream. Natural PEEK Tubing – Natural PEEK Tubing contains no dye, allowing for zero possibility of contamination.